If you’ve paid for dental insurance, it’s likely that you haven’t maxed out your annual maximum. You may not even be sure what your maximum is. After all, most people don’t think about when their last dental appointment was. But do you know who does remember? The dental insurance company you bought the plan from. People are quite surprised when they find out how much of the money they paid into dental insurance goes to waste. With the end of the year coming up, it’s time you took a second look at your benefits before they expire. According to a study conducted by the American Dental Association, Americans use an average amount of $323 every year. However, a typical plan usually allows for an annual maximum of $1,250, leaving $927 worth of dental benefits left unused. Out of the 164 million people who have dental insurance, that’s potentially $152 billion in dental insurance benefits going unused and directly back to the insurance company that sold it to them. The reason we talk about dental insurance now is that most plans typically expire at the end of the year, specifically on January 1st. 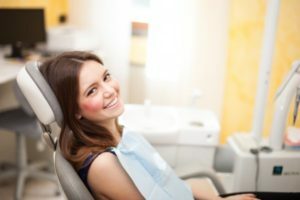 Instead of letting your plan expire and giving the benefits you paid for away, it’s time you looked over your plan and asked a dentist what treatments you can get now. A great place to start learning about your dental benefits (other than calling your insurance company directly) is at the dental office. Most practices have people on staff who specifically handle your insurance. They take insurance on a regular basis, therefore are used to the all the nuances that dental insurance plans contain. In many cases, dental plans cover anywhere from 80 to 100 percent of preventive treatments. This should help provide incentive when trying to maximize your benefits and make payment a bit easier to manage. Overall, preventive visits are the best dental services you can get for your money, and not just because they’re usually the cheapest. Preventive cleanings and checkups for example, help you catch and treat dental disease before it has the potential to turn into an emergency. This is often the case for those who tend to skip routine cleanings and checkups and only visit when an emergency appears. Don’t let your dental benefits go to waste. Schedule an appointment with a dentist today to get your necessary treatments done and keep your oral health in check! Dr. Robert Long earned his dental degree from the University of Health Science Center at San Antonio. His practice accepts a wide array of dental insurance plans and him and his team work hard to make paying for dental treatments easy and affordable. To learn more about his practice, you can contact him through his website.